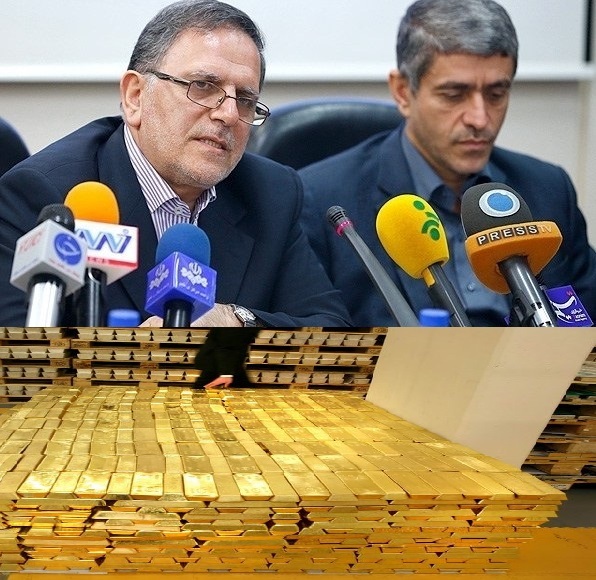 JNN 04 July 2015 Tehran : Governor of the Central Bank of Iran Valiollah Seif announced that Iran’s frozen gold Consignments purchased from South Africa have been released and returned to Iran after months of hard work by the Iranian government. “A sum of 13 tons of gold that had been purchased before and was deposited in South Africa in the past two years and could not be transferred to Iran due to the sanctions … was delivered to the Central Bank of Iran’s treasury last night,” Seif said. He added that the Iranian foreign ministry and the CBI have been working to release the frozen gold assets for long, but they couldn’t transfer the cargo to Iran due to the illogical problems that were created under the pretext of the sanctions. Yet, he said, all the 13 tons returned home as a result of the hard work done by the Iranian team of negotiators during the Vienna talks. The removal of Iran’s sanctions and gaining access to the country’s financial and gold resources abroad is one of the main objectives of Iran’s negotiating team in the ongoing nuclear talks. Tehran and the six major world powers extended the nuclear talks to July 7, after missing a June 30 deadline for reaching a final nuclear deal. Meantime, the European Council extended until 7 July 2015 the suspension of EU restrictive measures specified in the Joint Plan of Action agreed by the Group 5+1 (Russia, China, France, Britain and the US plus Germany, also known as the E3/EU+3) and Iran on 24 November 2013. This entry was posted in Iran News and tagged central bank of iran, Gold Bars, iran, Reserve, Solid Gold, South Africa. Bookmark the permalink.